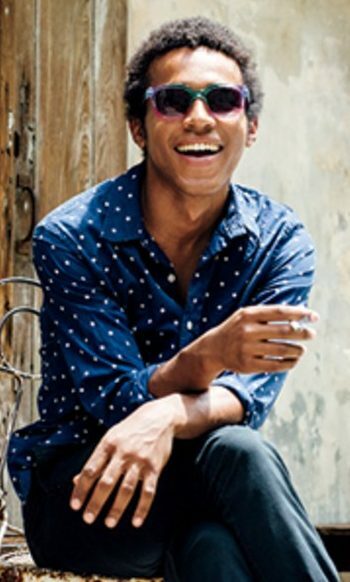 Gainesville’s third annual Music and Arts Festival for Social Change will feature comedy, film, panels, poetry, virtual reality and a variety of music, culminating with Benjamin Booker in concert on Friday night at Bo Diddley Plaza. Organizers of Changeville 2018 are packing so much into the next two days that you’ll need to stay on your toes to experience all of the festivities. And that still might not be enough! Twenty events will take place Thursday and Friday at 10 downtown venues — everything from music and comedy to film, virtual reality and discussion panels/workshops. 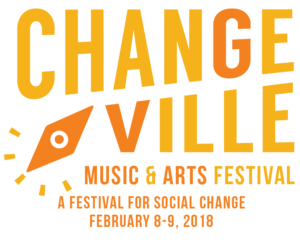 According to executive director Jennifer Vito, what sets Changeville apart from other festivals is that every artist and organization involved is tied together by their work in social change and trying to make the world a better place. “The festival acts as an umbrella platform for all of those artists and their varying art forms to connect, collaborate, influence and share a large audience in the center of a city that’s no stranger to social change and innovation — our pretty hip hometown of Gainesville,” Vito said. Changeville is held in conjunction with the annual frank Conference sponsored by the UF College of Journalism and Communications. The conference is a passionate gathering of academics and professionals working in public-interest communications and social change. Two years ago, organizers expanded the entertainment aspects of the event to share their giant after-party with the larger Gainesville community. Gainesville native Charles Bradley, who died last year, headlined the 2016 event at the newly renovated (and jam-packed) Bo Diddley Plaza. Last year, the festival’s music lineup included Talib Kweli, David Bazan and Big Freedia. This year, Changeville will feature another local son, of sorts, in singer/songwriter/bluesman Benjamin Booker. The UF journalism grad who grew up in Tampa will perform Friday night at Bo Diddley Plaza during a concert that will open with Gainesville’s Savants of Soul at 5:30 p.m. followed by the New Orleans-based Dirty Dozen Brass Band. Booker, who now lives in Los Angeles, is outspoken about police violence, social issues surrounding the black community as a whole, and gun violence. His second album, Witness, was released last summer. The album was announced with the premiere of its title track, “Witness,” also featuring Mavis Staples. In the title track, Booker references police brutality and activism. Meanwhile, the Dirty Dozen Brass Band was formed out of an organization dedicated to finding a positive outlet for neighborhood young people to use their free time. Entry to the Bo Diddley Plaza show is free with a donated good that will be given to the Grace Marketplace homeless shelter or Peaceful Paths domestic abuse network. Following Booker’s appearance, two late-night concert events get cranked up downtown. The Wooly hosts Passersby, In Bed by 10, Sooza, Aquanova, Marley the Messenger & DJ Robzilla and Wester Joseph’s Stereo Vudu. Meanwhile, High Dive hosts Flipturn, Pearl & the Oysters and Cracker. Changeville 2018 will also include two Thursday night concert events. Mike Llerena & The Nerve, Wax Wings, GUTS and War on Women (acoustic set) perform at The Atlantic, while High Dive presents rap artist Princess Nokia along with Hugo Sanchez, Retrolux and Azazus. War On Women work in both music and public speaking/writing, bringing a message of intersectional feminism while also working these issues on the ground in organizations such as Hollaback Baltimore and Safer Scenes 2017. 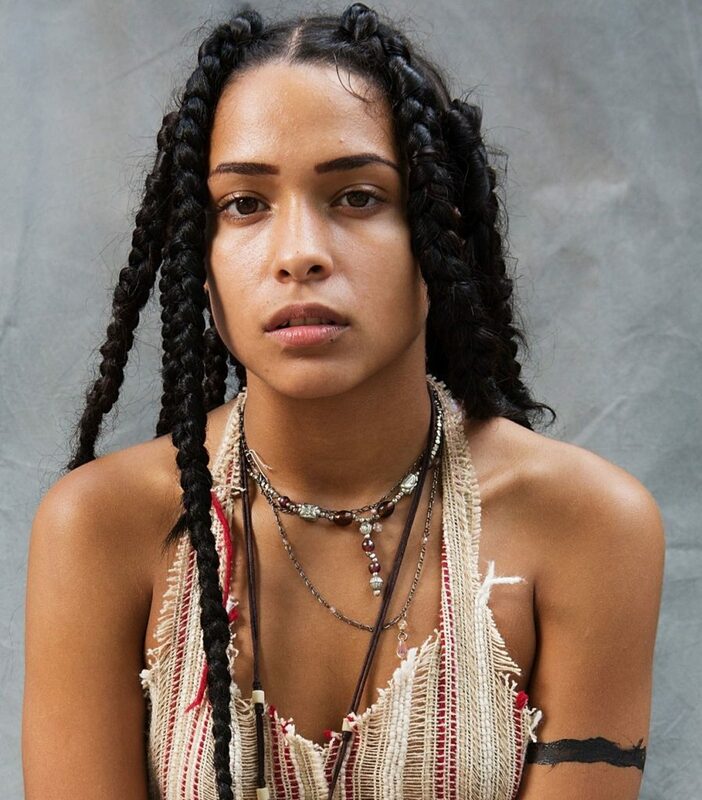 Princess Nokia, a social activist and alpha-female icon, advocates for feminism and intersectionality. She recently set up a large-scale fundraising campaign for Hurricane Maria disaster relief in Puerto Rico. “We’ve also curated a ‘PorchFest’ for Thursday to kick off the event — where people can see live street music on the sidewalks and porches of venues like Volta Coffee, High Dive and the Midnight,” Vito said. Another highlight of Changeville 2018 is an early Thursday evening comedy show at High Dive featuring double-headliners Ian Harvie and Lizz Winstead. 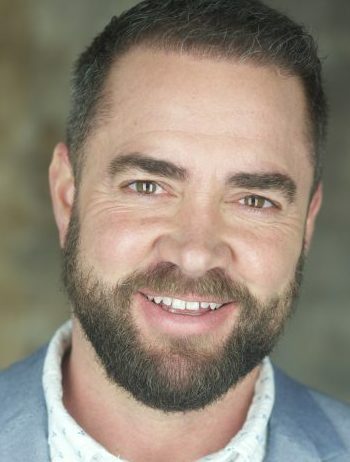 Harvie is an actor/comedian who has appeared in such TV shows as Transparent and Mistresses. Winstead is an author/writer/comedian/radio host and co-creator of The Daily Show. “She’s helped change the very landscape of how people get their news and political commentary and has continued her work with Lady Parts Justice League and various social work while helping raise more than $2 million for reproductive healthcare,” Vito said. Harvie is a trans activist, animal rights supporter and is involved in various community benefit projects for Queer and trans youth. Each morning and afternoon of Changeville 2018 includes panel discussions and workshops at the Midnight, 233 S. Main St., and/or the Bull, 18 SW 1st Ave. Both days also include blocks of award-winning films at the Hippodrome Theatre in conjunction with the Cinema Verde International Environmental Film & Arts Festival, which takes place this weekend at Heartwood Soundstage. Also of note is Poetry for Social Change with Canes On Da Mic at the Bull on Thursday at 6:30 p.m. and a Virtual Reality Showcase on Friday from 3-6:30 p.m. at the Civic Media Center, 433 S. Main St.
“Just the act of attending this fun music and arts festival is also a way of supporting social change and strengthening our community,” Vito said. Full festival passes, VIP passes and tickets to individual events can be purchased online at the Changeville website or during registration Thursday at the Hampton Inn & Suites. 10 a.m. — Panel/Workshop: Social Change Through Nonviolent Communications, at the Midnight, 233 S. Main St.
3:30 p.m. — Panel/Workshop: Narrating a Community Panel, at the Midnight, 233 S. Main St.
5-7:30 p.m. — Films: Jane and FIELDWORKS, at the Hippodrome Theatre, 25 SE 2nd Place. 5 p.m. — PorchFest featuring V(owls), at the Midnight, 233 S. Main St. Free. 5:30 p.m. — PorchFest featuring Sooza, at Volta Coffee, 48 SW 2nd St. Free. 6:30 p.m. — PorchFest featuring Maman Chaud, at High Dive, 210 SW 2nd Ave. Free. 6:30 p.m. — Poetry for Social Change, at the Bull, 18 SW 1st Ave. Free. 6:30-9 p.m. — Comedy Showcase: Bailey Erickson, Vanessa Kinsey, Micaela Fagan, Ian Harvie and Lizz Winstead, at High Dive, 210 SW 2nd Ave.
9 p.m. — Mike Llerena & The Nerve, Wax Wings, GUTS and War on Women (acoustic set), at The Atlantic, 15 N. Main St.
10 p.m. — Retrolux, Hugo Sanchez and Princess Nokia, at High Dive, 210 SW 2nd Ave.
9:45 a.m. — Panel: How to Use the Arts to Inspire Environmental Change, at the Midnight, 233 S. Main St.
12:30 p.m. — Panel: How to Create Safer Spaces in Your Community, at the Bull, 18 SW 1st Ave.
2 p.m. — Panel: “The Other” De-Othering Through Art, at the Midnight, 18 SW 1st Ave.
3:30 p.m. — Allyship Panel, at the Bull, 18 SW 1st Ave.
2-4:30 p.m. — Films: The Insult and Cycle of Change, at the Hippodrome Cinema, 25 SE 2nd Place. 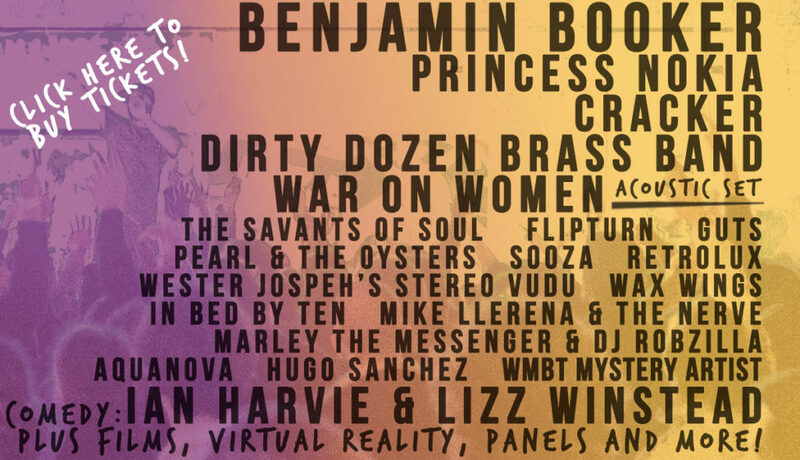 3-6:30 p.m. — Virtual Reality Showcase, at the Civic Media Center, 433 S. Main St.
5:30-9:30 p.m. — Savants of Soul, Dirty Dozen Brass Band and Benjamin Booker, at Bo Diddley Plaza, 111 E. University Ave.
9 p.m.-midnight — Passersby, In Bed by 10, Sooza, Aquanova, Marley the Messenger & DJ Robzilla and Wester Joseph’s Stereo Vudu, at the Wooly, 20 N. Main St.
9 p.m.-midnight — Flipturn, Pearl & the Oysters and Cracker, at High Dive, 210 SW 2nd Ave.